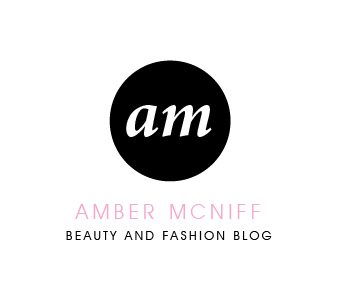 When it comes to jeans, I am very fussy and I will only buy jeans from certain shops. I very rarely buy jeans from a shop or brand that I haven't tried before, as they have to fit perfectly, otherwise they just irritate me. There's nothing worse than seeing a pair of ill fitting jeans on someone! 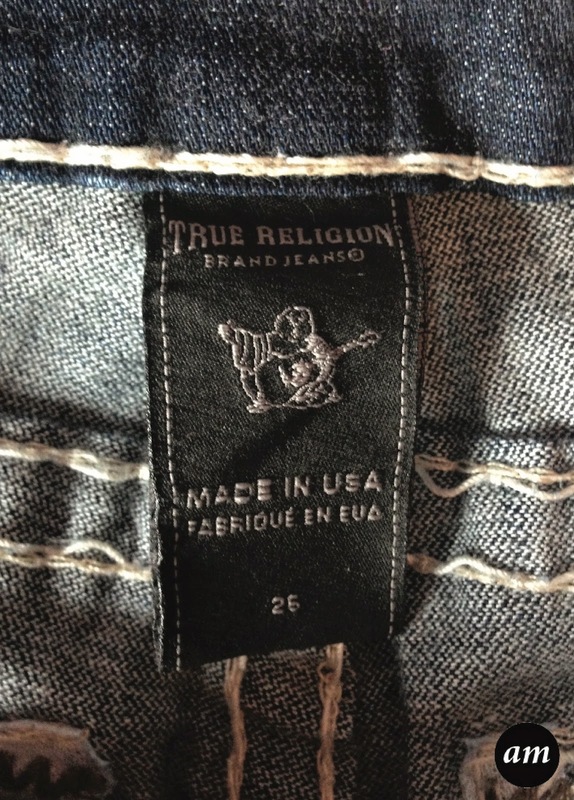 True Religion is my favourite jean brand as their jeans are made to such a high quality and they do so many different styles, fits and designs. 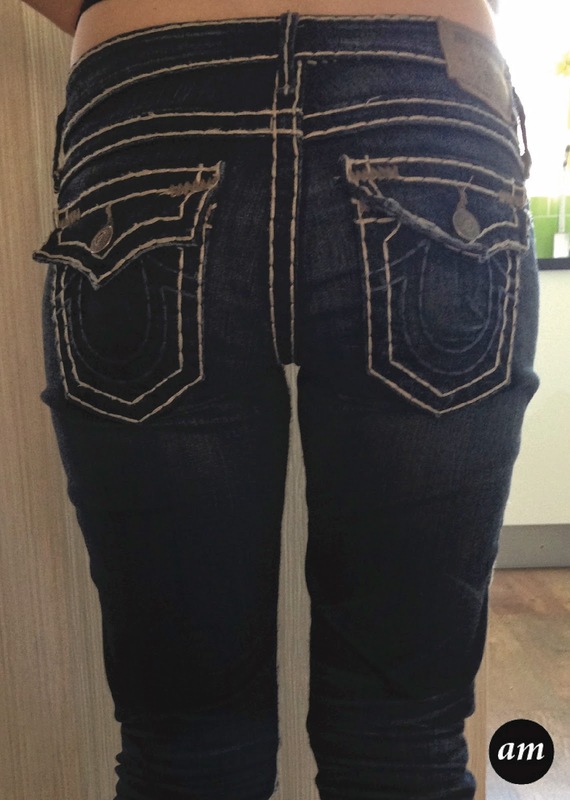 The Julie Super T Jeans are made of a dark denim and they have thick cream and blue stitching, which really stands out. 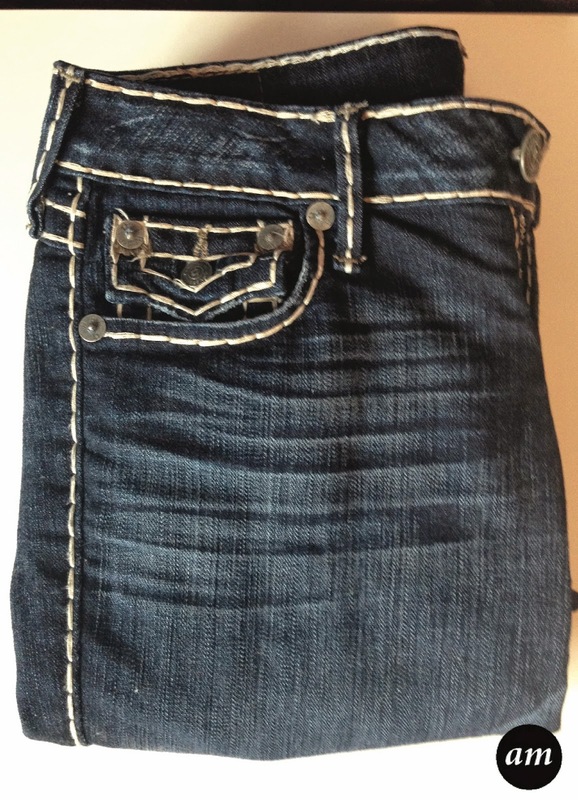 They have two pockets on the back, with flaps, and the stitching design True Religion are known for. All of the buttons have True religion engraved on them, which I think is a nice touch. 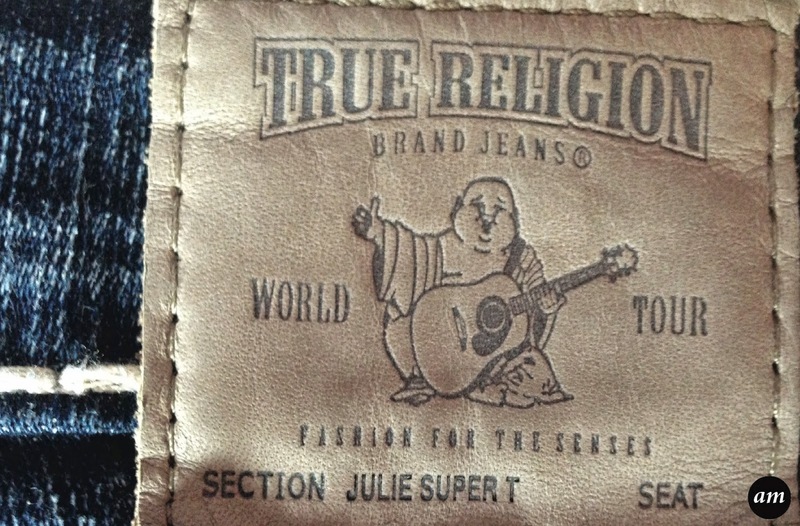 I love how the True Religion logo on the back of the jeans isn't just written on, like other brands are, it's made like a concert ticket, with the style of the jeans written on too. 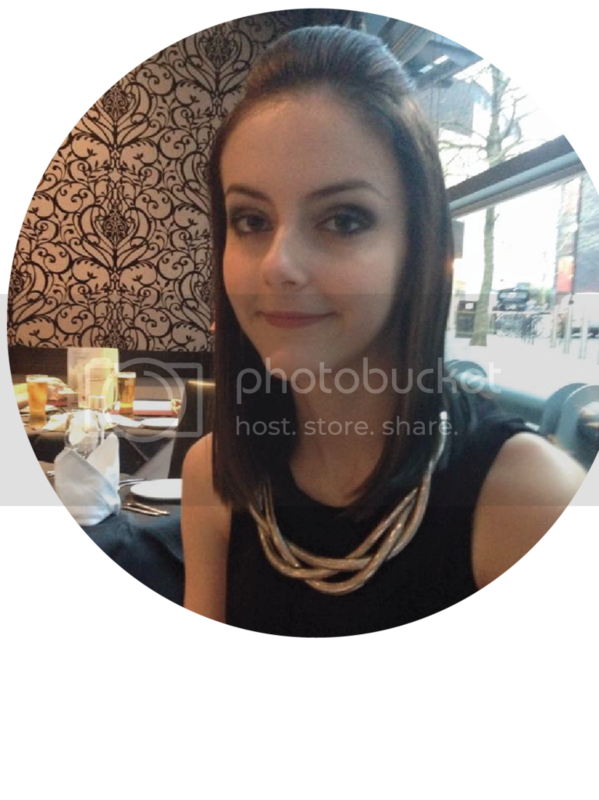 Julie Super T have a low rise and are a skinny fit. In high street jeans/pants I am a size 6-8 (depending on what item I'm buying), these jeans are a size 26, but since buying them I have lost some weight, so they are actually a little big on me now! However, they fit lovely and hug all of the right places. 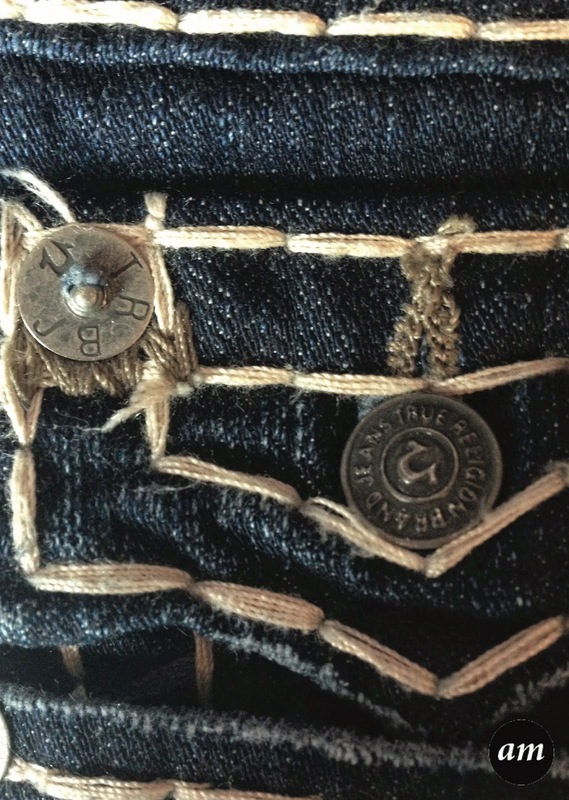 The thing I love the most about all True Religion jeans is that they last forever. My last pair lasted me just over 2 years! 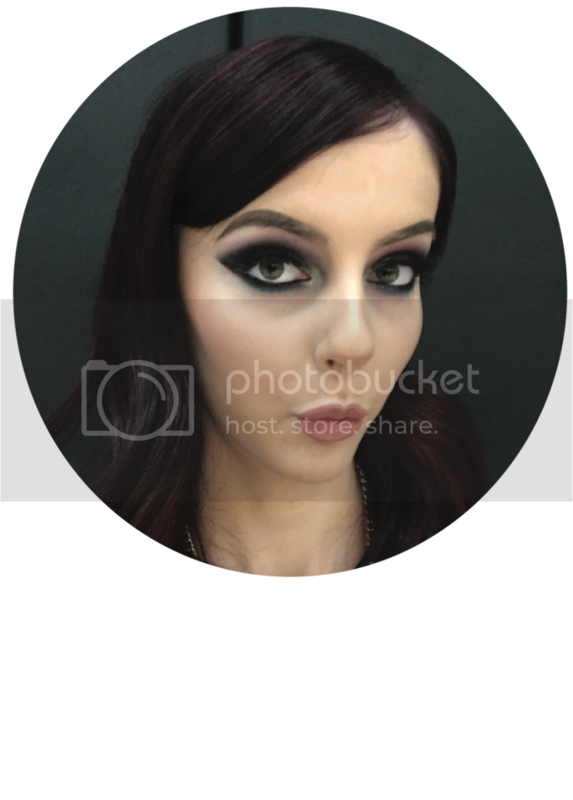 I would defiantly recommend the Julie Super T Jeans to anyone who's looking for a more unique designed pair of jeans. 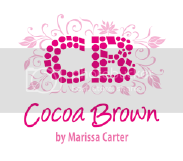 They are great for all occasions as you can pair them with some comfy trainers for a casual look, or some heels for an occasion. 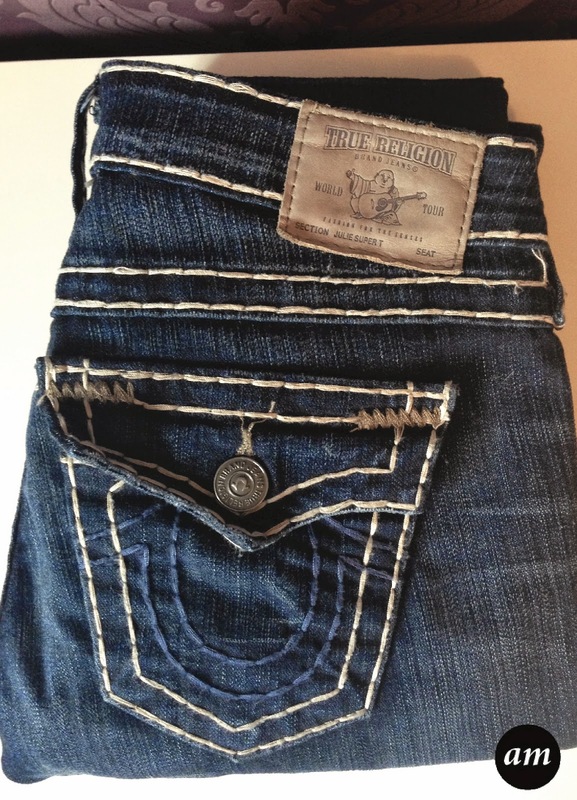 You can purchase them for £260.42/$318 from True Religion or some department stores. 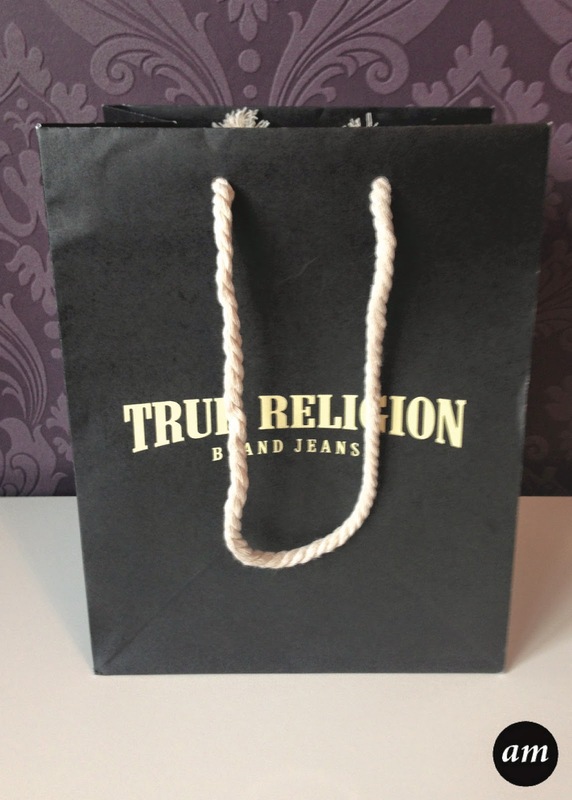 Have you tried any True Religion jeans before?